Below you can view all the homes for sale in the Rustica Oaks subdivision located in Durham North Carolina. 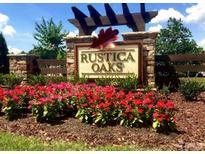 Listings in Rustica Oaks are updated daily from data we receive from the Raleigh multiple listing service. To learn more about any of these homes or to receive custom notifications when a new property is listed for sale in Rustica Oaks, give us a call at 919-759-5468. 3 other bedrooms upstairs along with laundry room. 2 car garage. Appt only MLS#2242205. 2773. Easy access to Hwy 147, 40, 540, and Durham 54 & 55. MLS#2238702. 2714. Glamorous master bath and his/hers walk-in closets with entrance into the laundry helps save a lot of time. HERS rating 68. MLS#2238603. 2714. Upstairs the master bedroom has a sitting area, separate tub/shower with Walk in Closet, laundry room, and loft. Cul-de-sac Lot. MLS#2238599. 2714. Upstairs two secondary bedrooms, large loft, a master suite with a sitting room, Walk in Closet, and separate tub/shower. MLS#2238206. 2714. Upstairs guest bedroom with third full bath, two large secondary bedrooms, bonus room, and unconditioned floored storage. MLS#2230877. 2714. The master suite has a sitting room, Walk in Closet, and separate tub/shower. MLS#2230841. 2714. Master bedroom has separate tub/shower with his/hers Walk in Closet. MLS#2228488. 2714. Easy access to Hwy 147, 40, 540, and Hwy 54 & 55. MLS#2227888. 2714.